Sige na, time to move on! Go see new places with this seat sale! Sige na people, mag-move on na! Book now until Septempber 19, 2016! 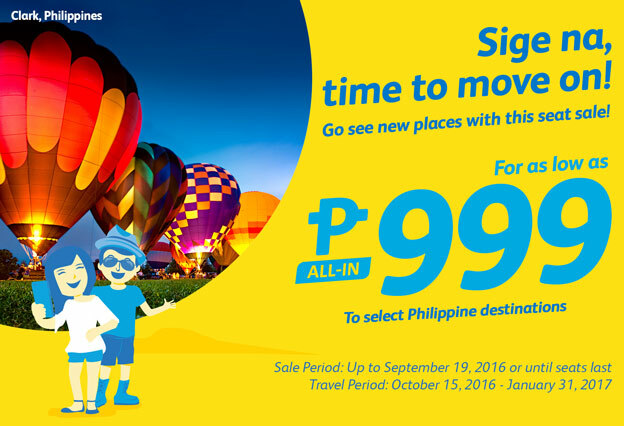 Get this amazing Cebu Pacific Sige na, time to move on! Go see new places with this seat sale! For as low as P999 All-In Fares To select Philippine Destinations. You can buy this promo up to September 16-19, 2016 or until seats last and travel period on October 15, 2016 to January 31, 2017.